Four generations of flagships and the respective Compacts (where there were ones) have used the same 20.7MP sensor, but that is no more. 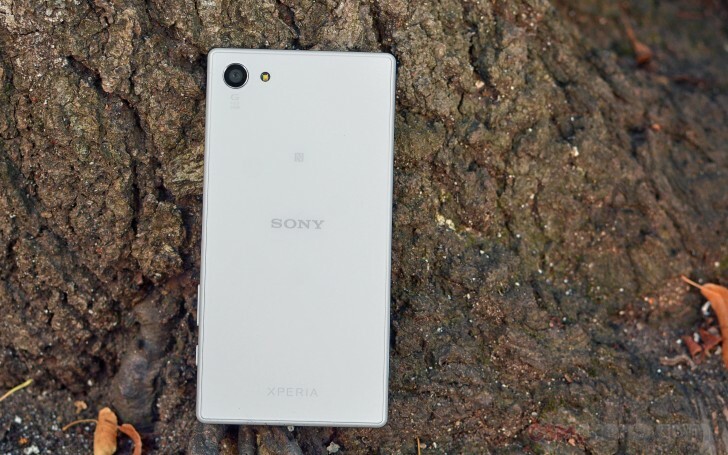 The Xperia Z5 series introduces an all new Sony sensor to its top-shelf devices, one that we've been told will be used exclusively by company. It is then not the same, found in the Moto X Style and Play. While the smartphones' camera is advertised as 23MP this 1/2.3-inch Exmor RS imager actually has a million or two extra effective pixels. It's what's become known as a multi-aspect sensor - its physical diagonal is larger than the image circle covered by the lens, thus its extreme corners are never used. Instead, depending on the selected ratio, a respective crop of the sensor is being utilized. When shooting in 16:9 aspect, the images come out at 5,984 x 3,366 pixels, or 20.1MP. The more squarish 4:3 ratio gives you the headline 23MP (22.8MP, actually), with precise dimensions of 5,520 x 4,140 pixels. So the actual effective area of the sensor is no less than 5,984 x 4,140 pixels, or 24.8MP. A 24mm-equivalent wide angle lens sits in front of the imager and offers truly wide coverage, which would lend well to landscape photography. A 5x Clear Image Zoom feature aims to produce detailed, albeit lower-res 8MP images, through analyzing adjacent pixels and using the patterns discovered. As always, we're skeptical of features that claim to create data, which wasn't there in the first place but Sony engineers are really proud with what they've achieved (previous phones allegedly allowed only 3x digital zoom). The lens aperture is a reasonably bright f/2.0 and when that isn't enough, there's an LED flash to help. Sony claims to have produced the fastest hybrid autofocus mechanism in a smartphone camera, going down to 0.03s, when the blinking of an eye takes a lengthy 0.1 to 0.4 seconds. That's the case when the system can gather accurate distance information and the phase detection mechanism can lock focus in a single precise step. When the reliability of the distance information is lower, the lens is brought to the general vicinity of accurate focus, where contrast-detection kicks in and scans the now narrowed focusing range to acquire precise focus. Worst case scenario - there's no distance info and the entire focusing range from close-up to infinity must be examined with contrast detection. The camera app has been thoroughly redesigned. Most notably, you can now switch camera modes with a simple swipe motion, iPhone style. The 8MP limit when using Superior Auto is gone and you can now shoot full resolution 23MP images, or 20MP, should you opt for the 16:9 aspect. You can see the new app in action in the brief video we prepped for you. Sony has provided a few camera samples from the Xperia Z5 for us to marvel at, viewable below. We also got to shoot some of our own typical subject matter. It has to be stressed once again that these are pre-production prototype units we've been dealing with, so the output will most probably change with final software and hardware. Nevertheless, we're quite happy with the detail-rich results. Video recording goes up to 2160p/30fps, not that anything lower was to be expected. Sony has partnered its proprietary SteadyShot technology with Intelligent Active mode. It uses the gyro sensor and a pair of magnets to control the position of the lens, but that's already been done on the Z3+. The news here is the added position sensor, which makes the entire operation a closed-loop system. In this case the system receives feedback whether the efforts it makes are doing the job required, and if not, it re-adjusts accordingly. Compare that to an open-loop system, where based on the initial information the actuator does a single action and assumes that it's successful, without getting feedback. It all sounds great, but we'll be testing that later in our detailed review.